The Principals & Companions of Berkhampstead Royal Arch Chapter No. 504 have pleasure of inviting Brethren of the Craft to an Open Event at Gables Hall, Linslade on Tuesday 19 February 2019 at 5.30pm. The purpose of the event is to explain the Holy Royal Arch and to generate interest for those seeking to complete their Masonic journey into Pure Antient Freemasonry. The evening will begin at 5.00pm with the Regular Meeting of the Chapter to deal with normal business. This should take approximately 30 minutes and after Closing the Chapter our guests from the Craft will be invited into the Temple. 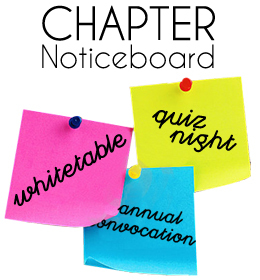 The Programme for our craft guests will be followed by the Festive Board. If members of your Lodges are interested in the Open Event please ask them to contact Scribe E, Mike Horton, at mike.horton16@gmail.com for further details. The dining charge is £20.00. There are a limited number of ‘free’ places on a first come, first served basis.